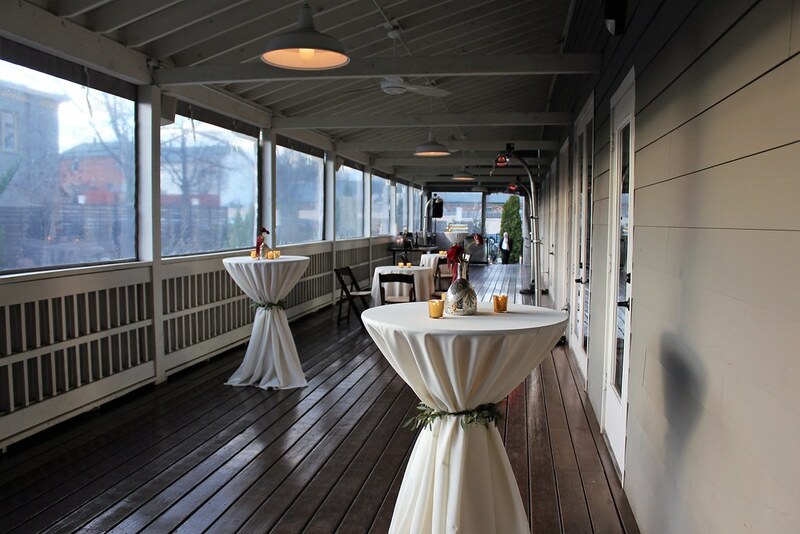 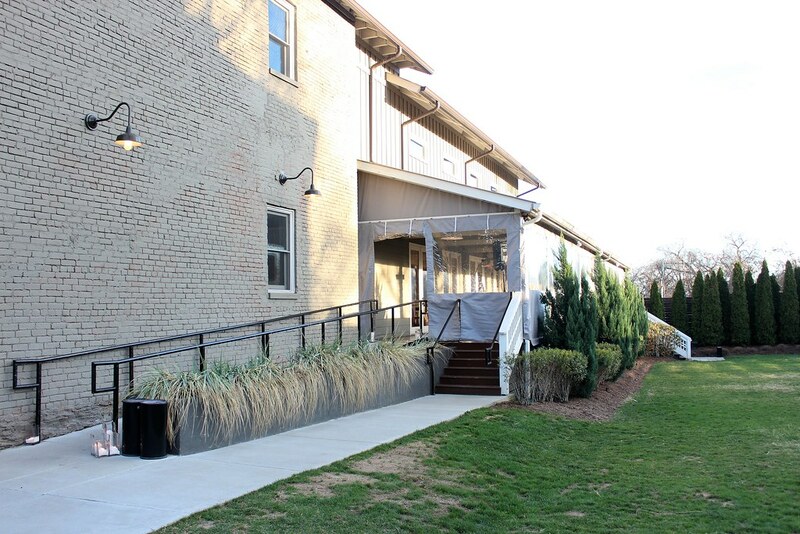 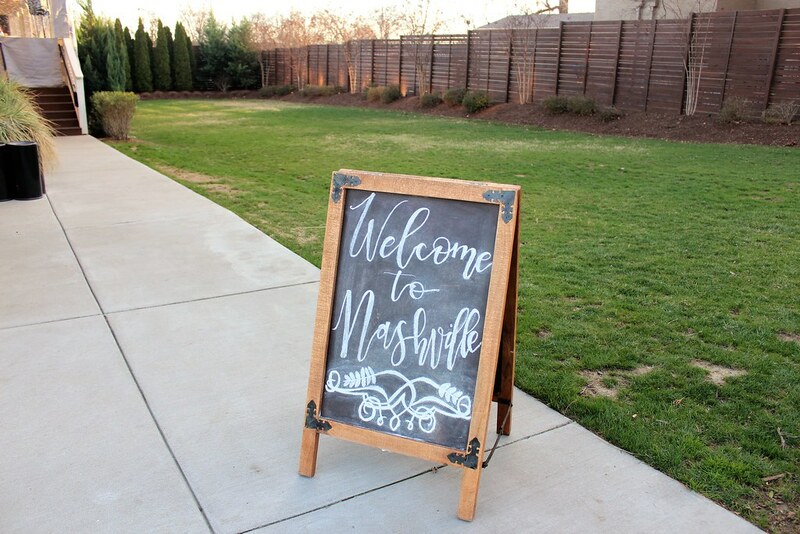 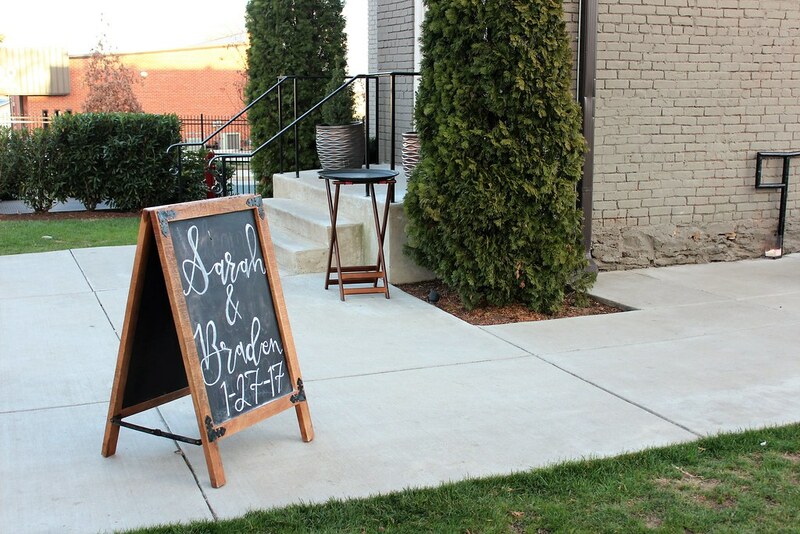 Nashville is known for it’s hot summers, but who knew that a wedding would come from it?! 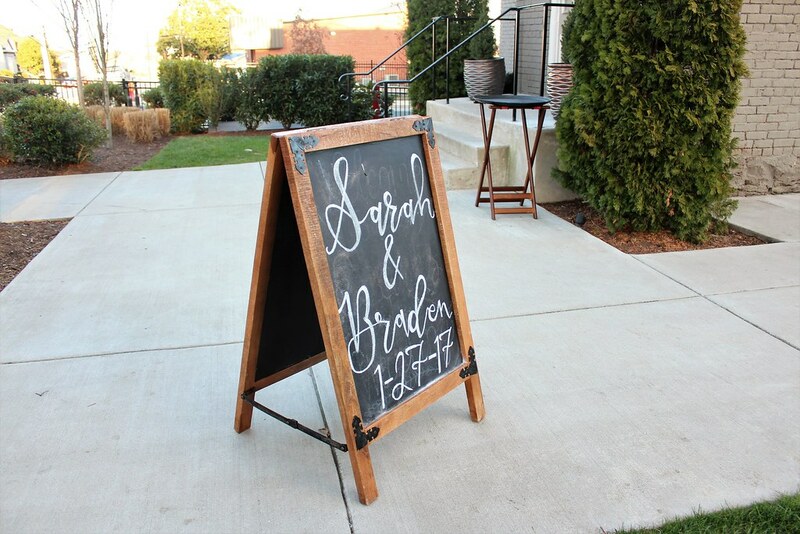 This bride and groom met by the pool in their apartment building. 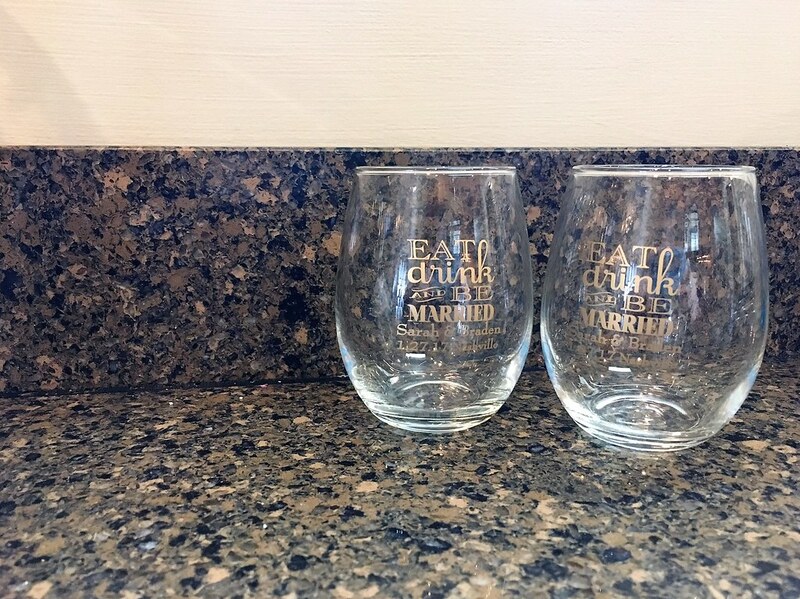 After hitting it off by the water they started dating shortly after. 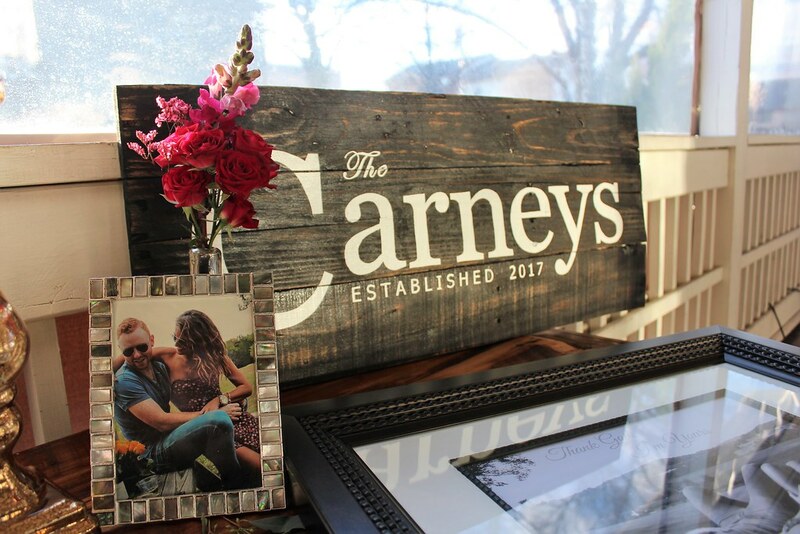 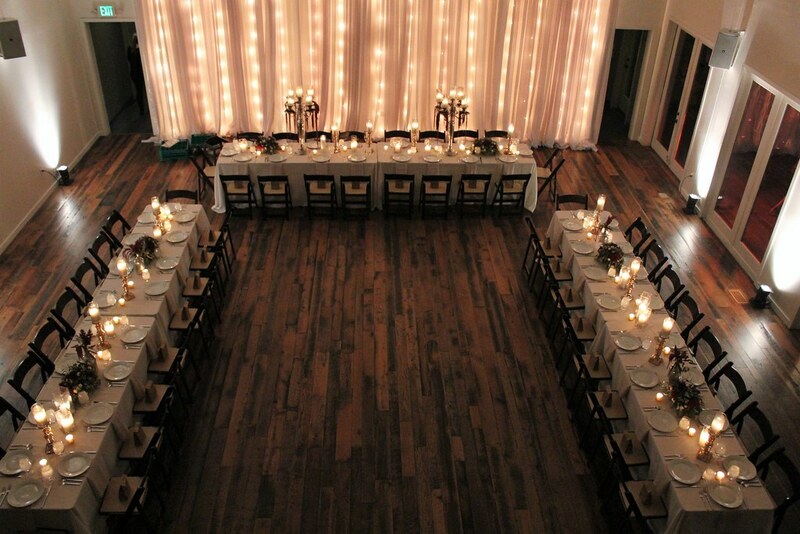 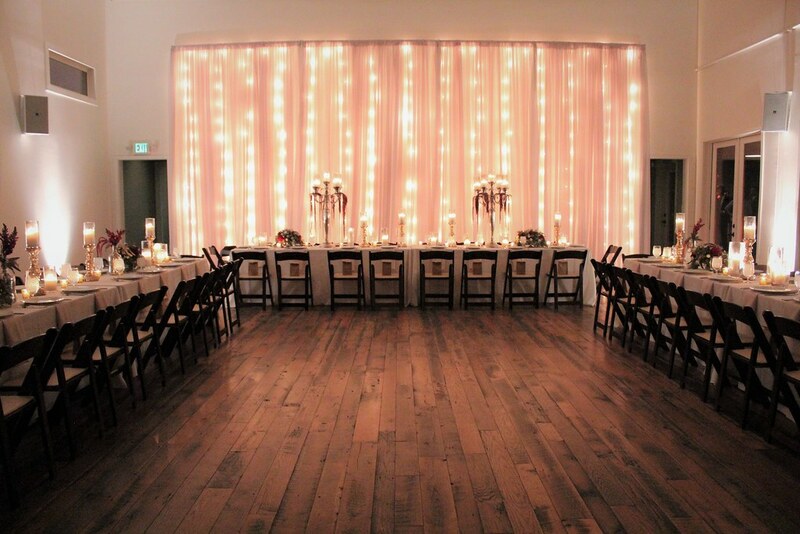 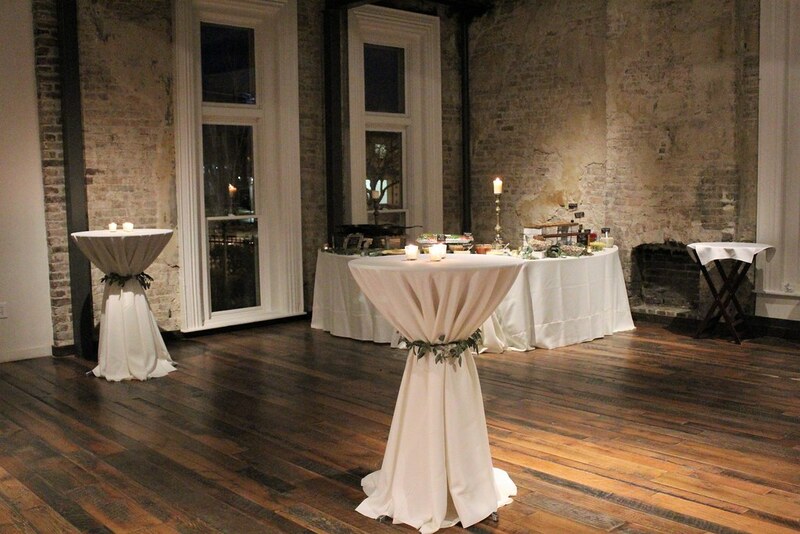 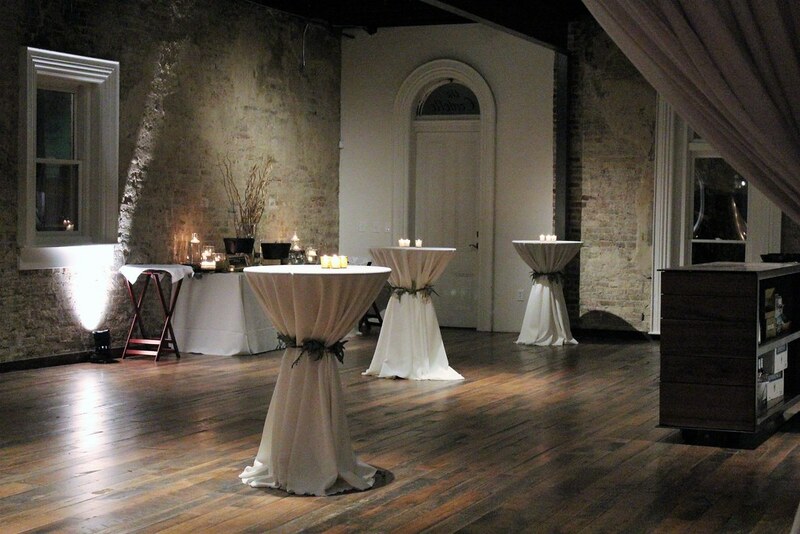 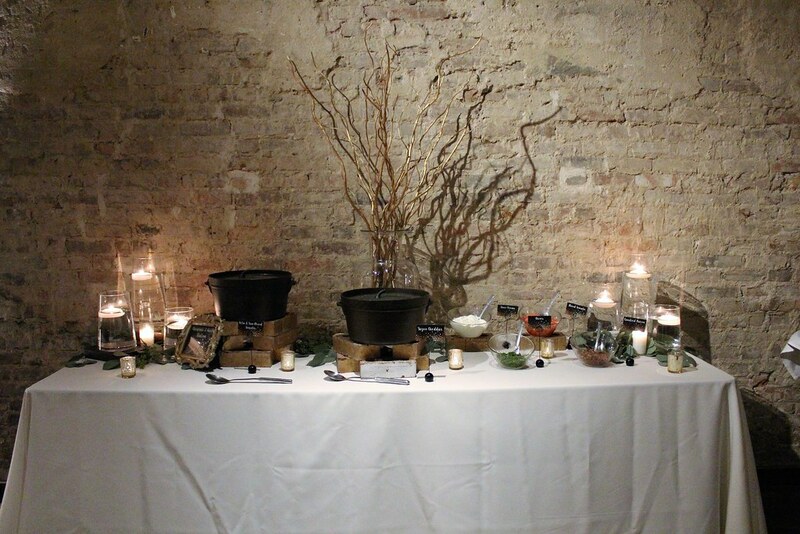 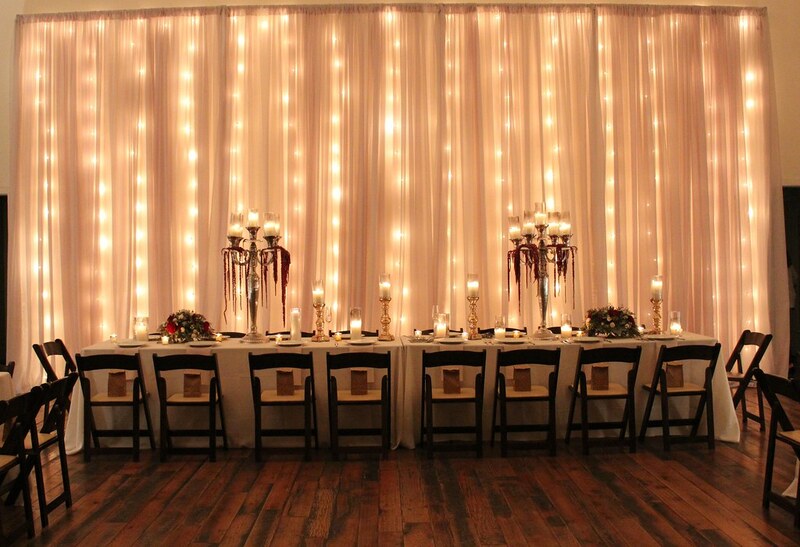 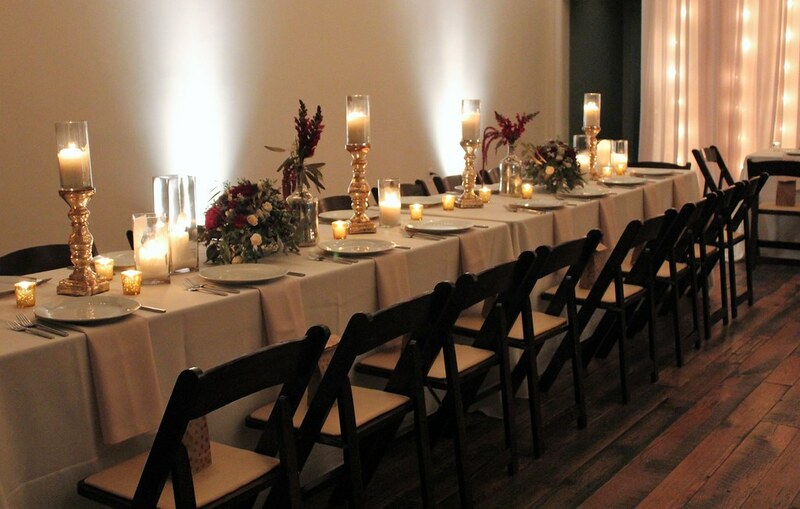 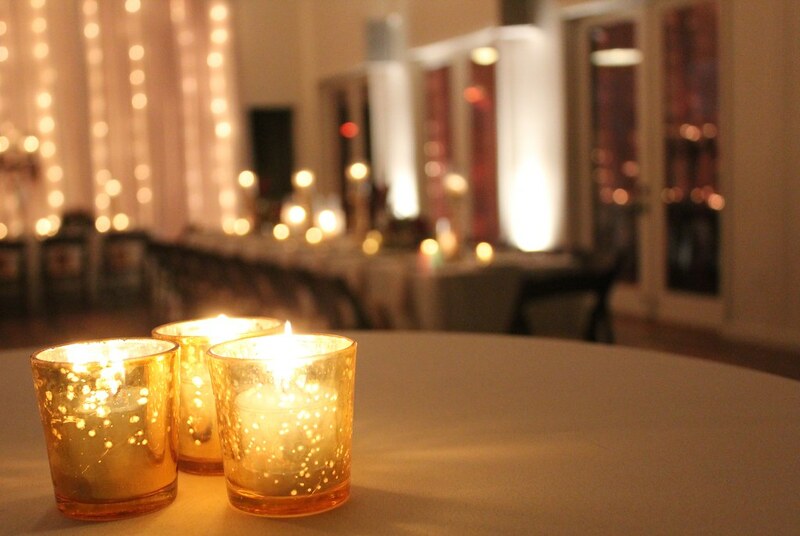 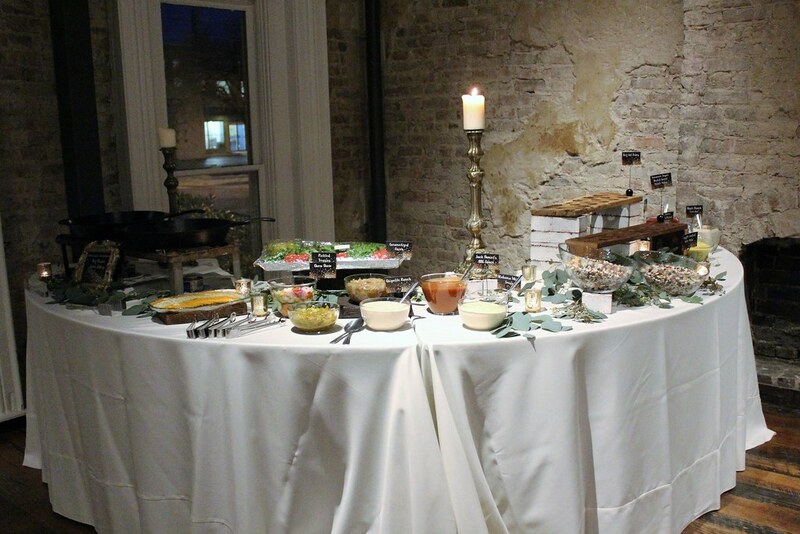 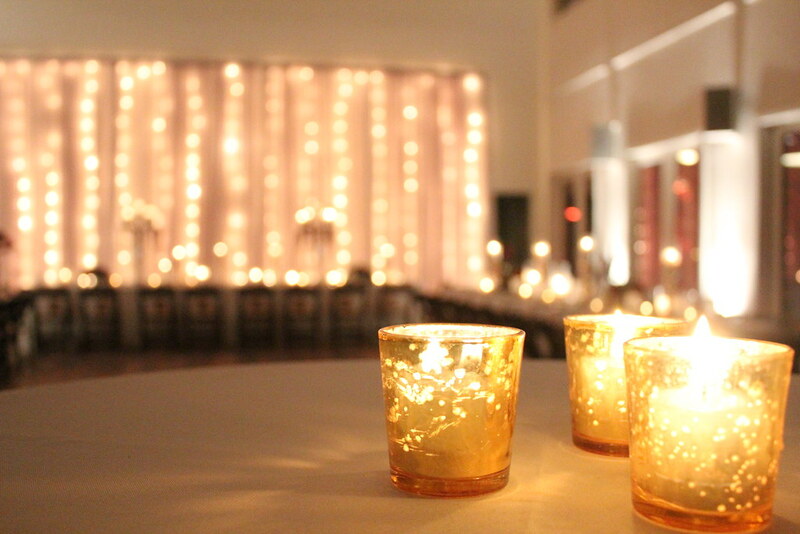 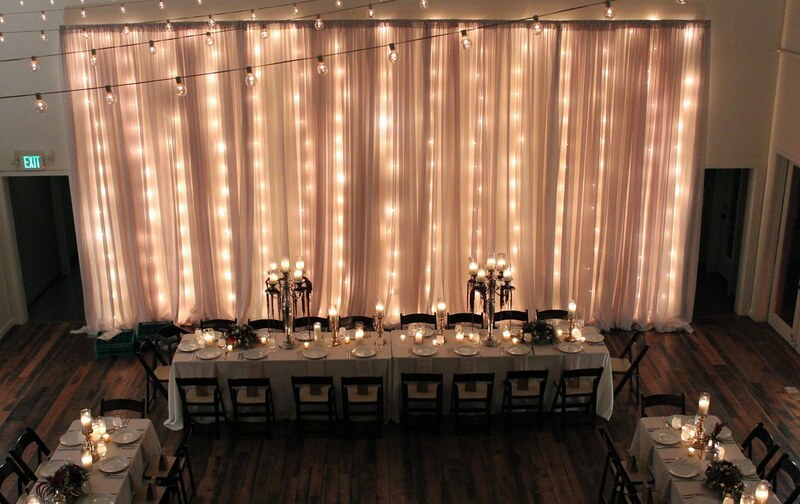 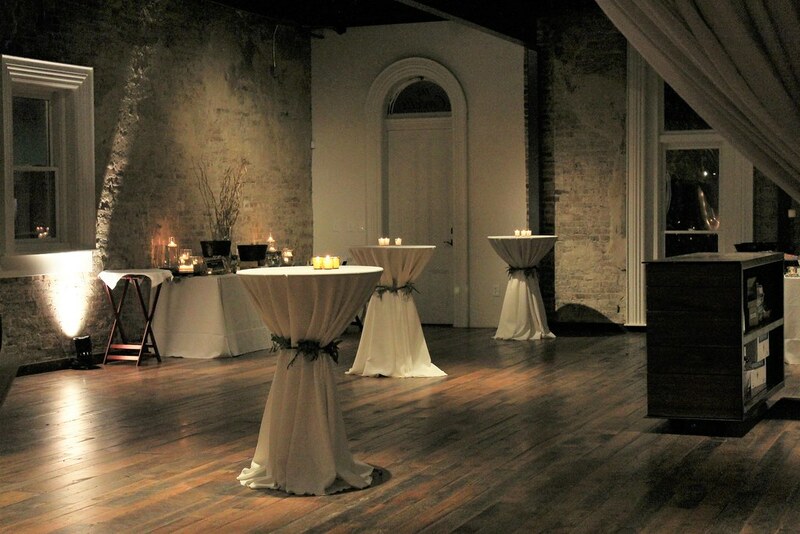 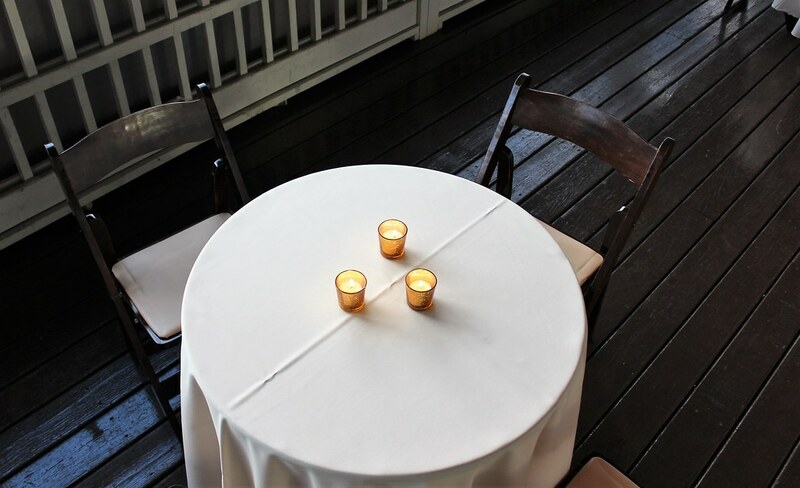 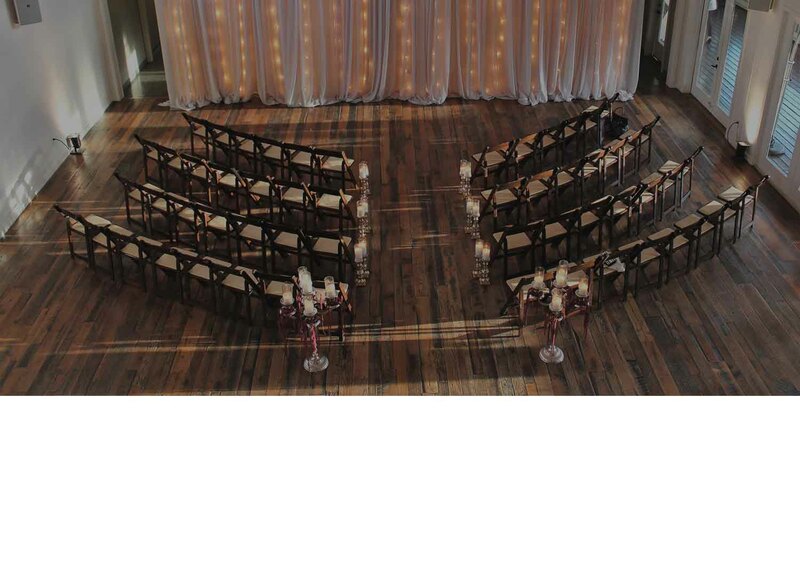 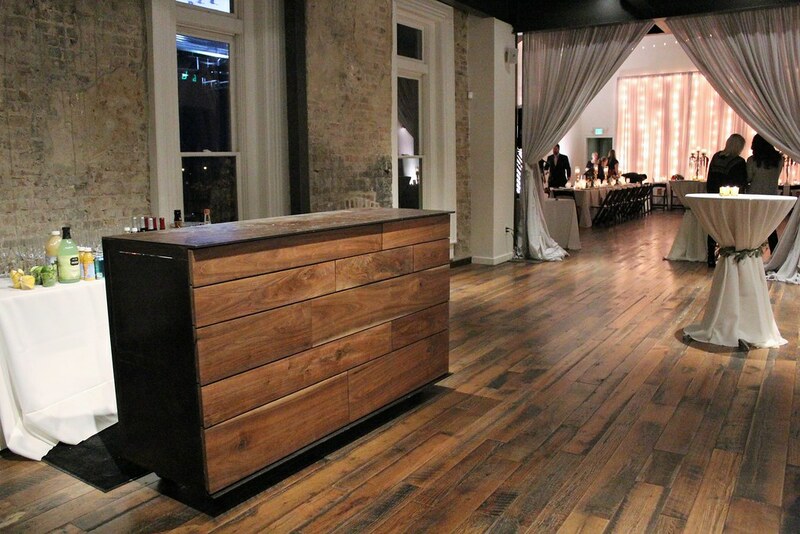 Their intimate wedding at the Cordelle in downtown Nashville was simply beautiful. 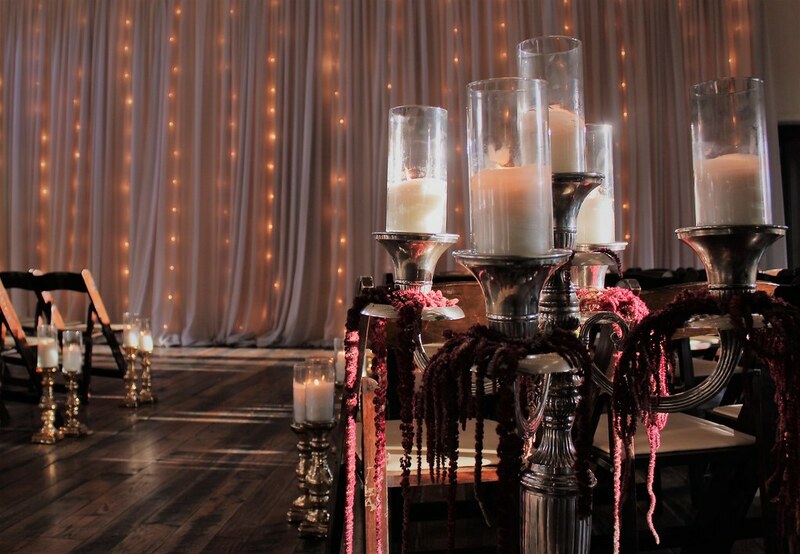 The chic décor including hundreds of lights and candles, oozing romance throughout the indoor space and the surrounding veranda. 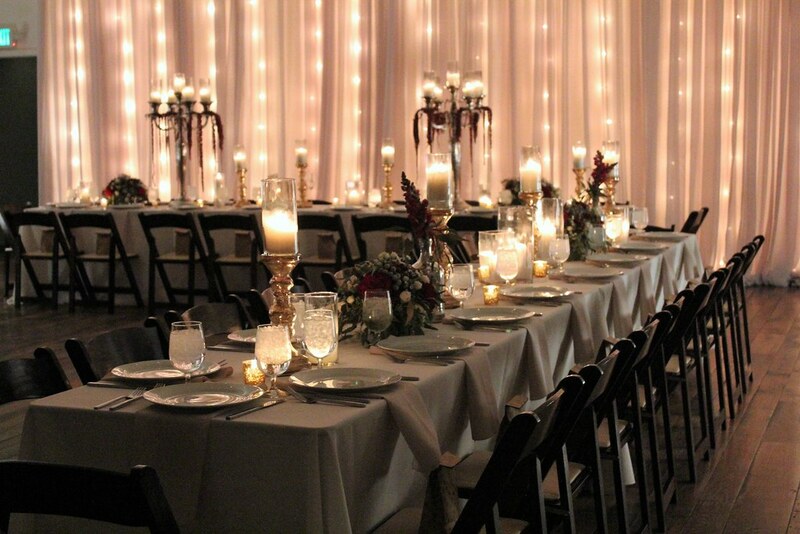 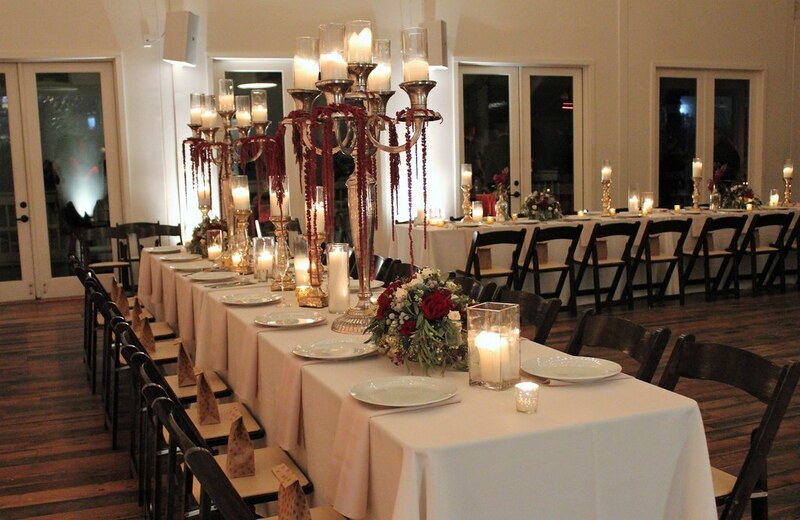 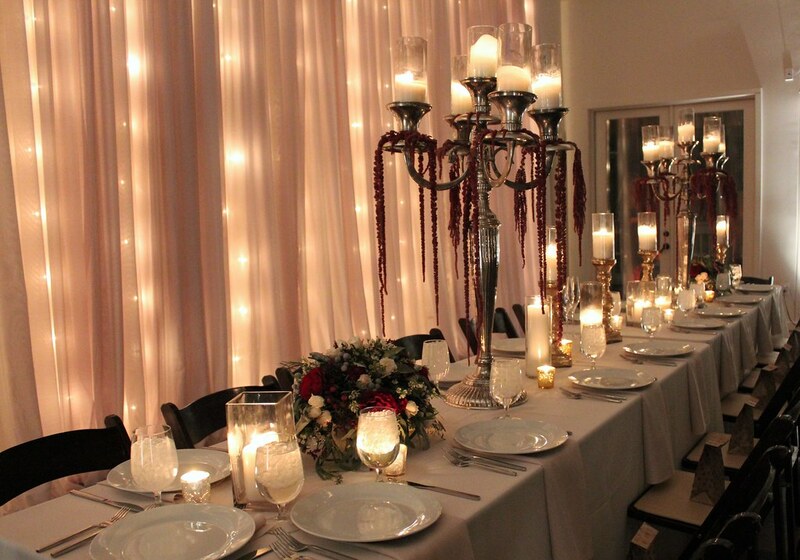 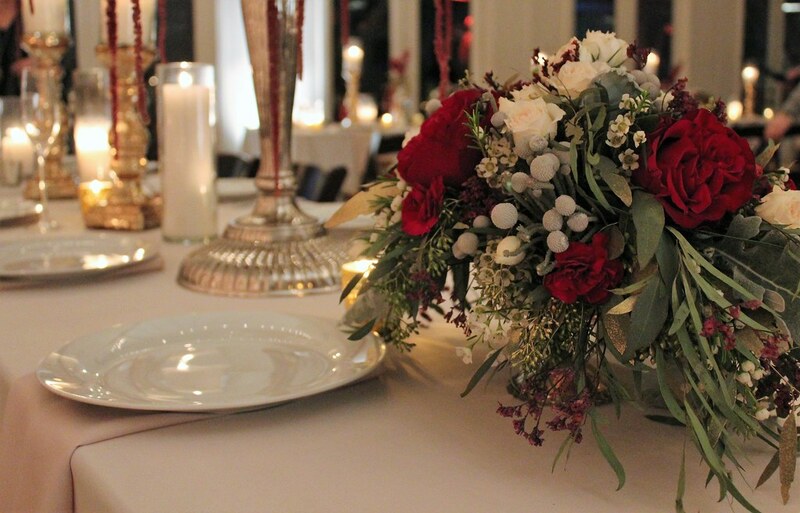 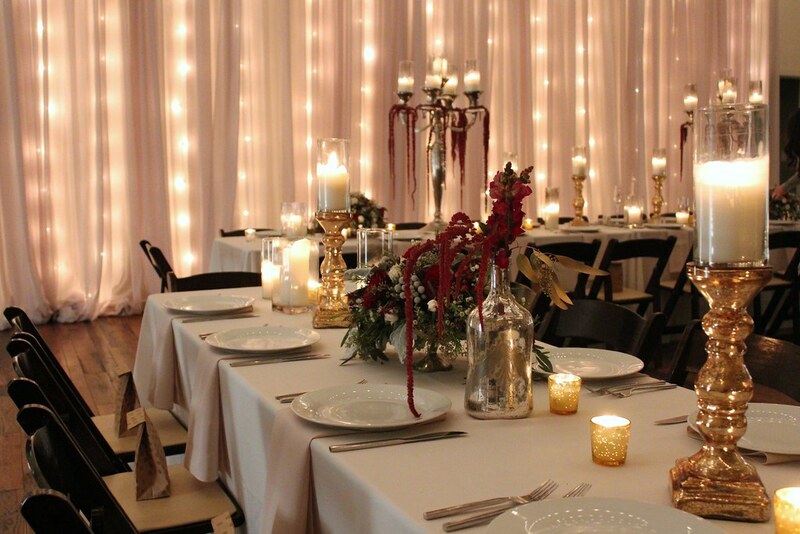 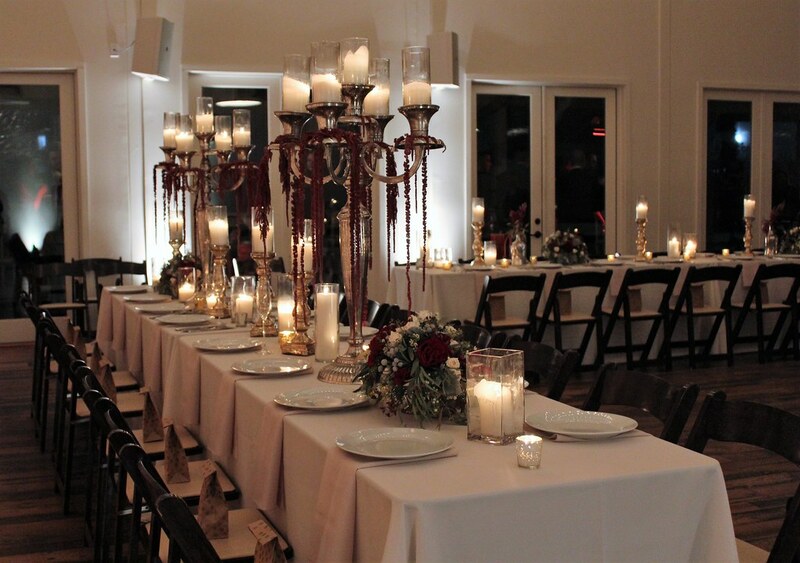 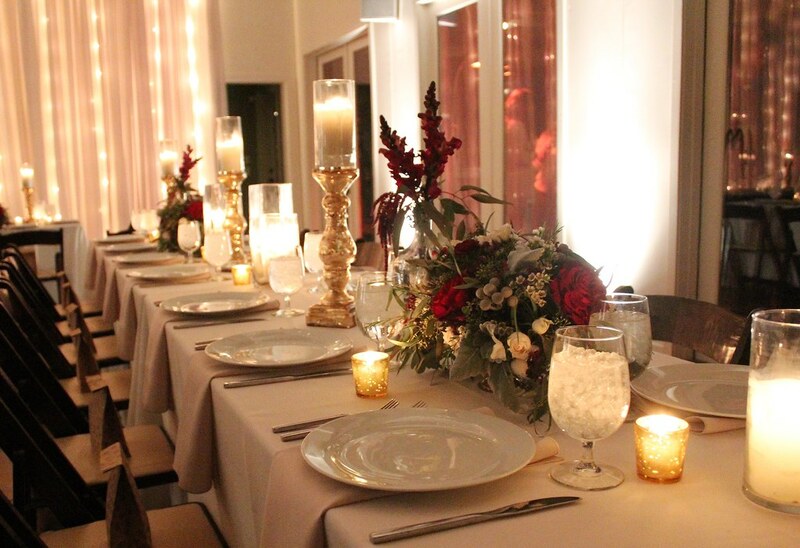 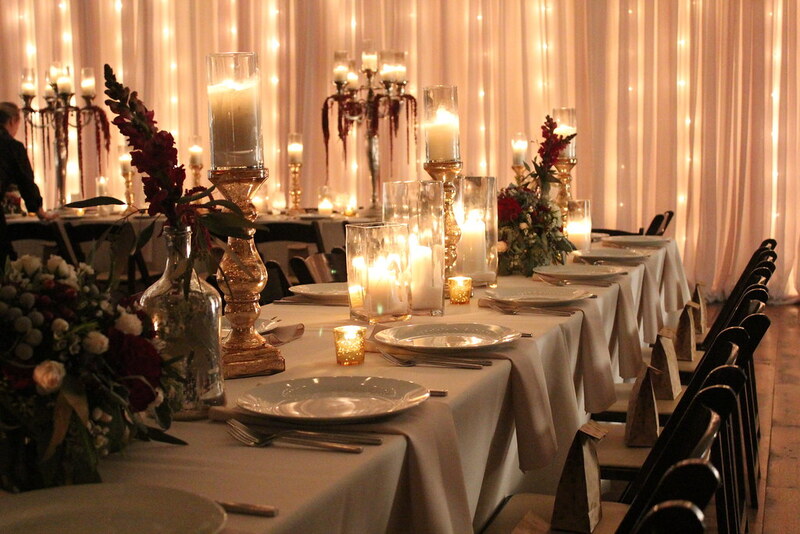 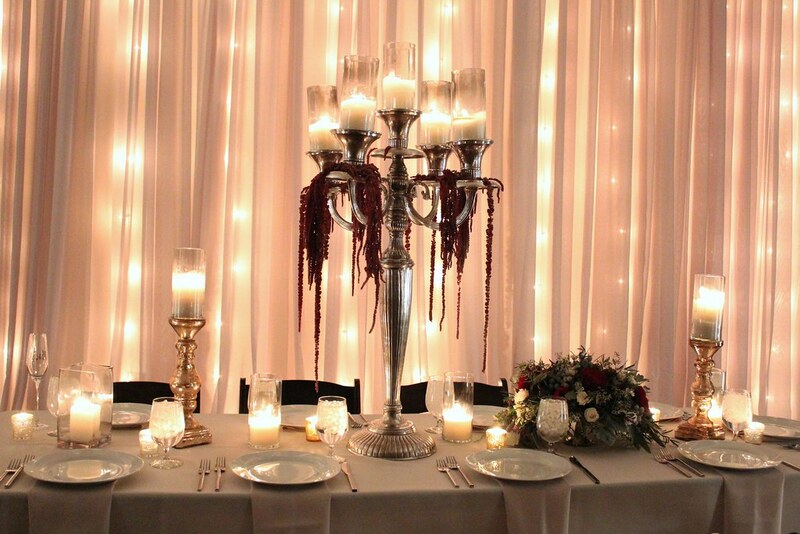 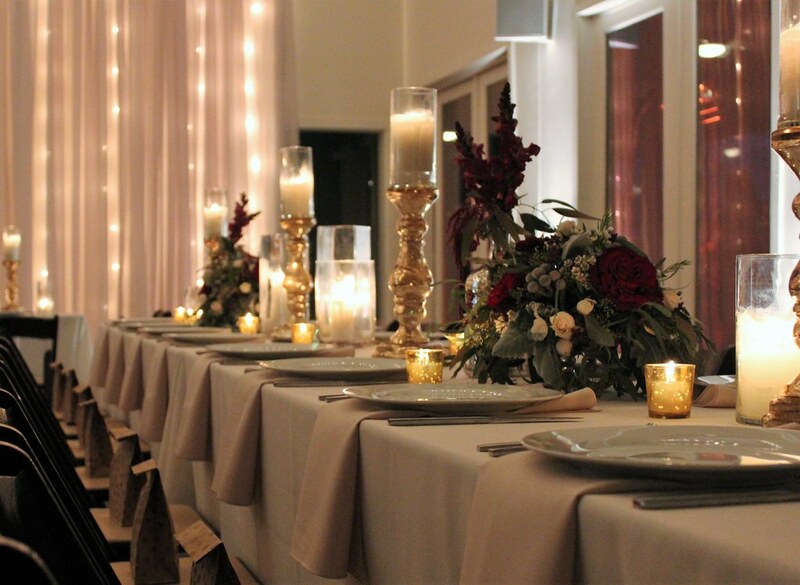 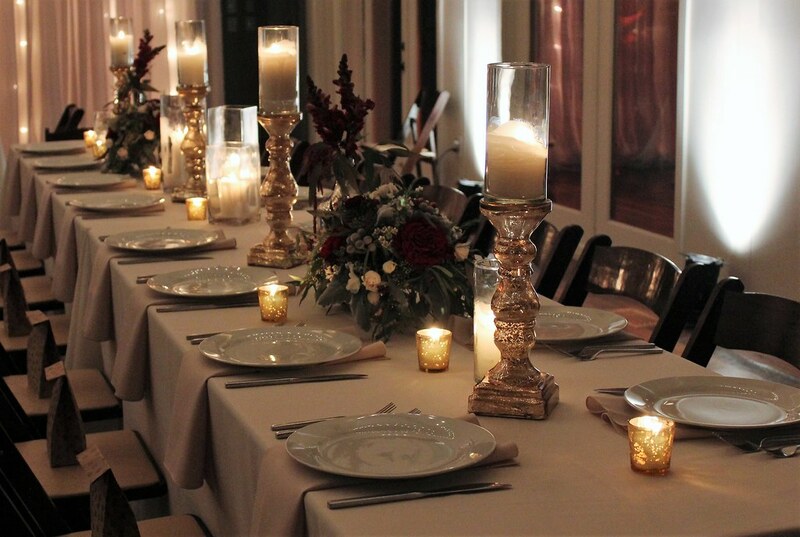 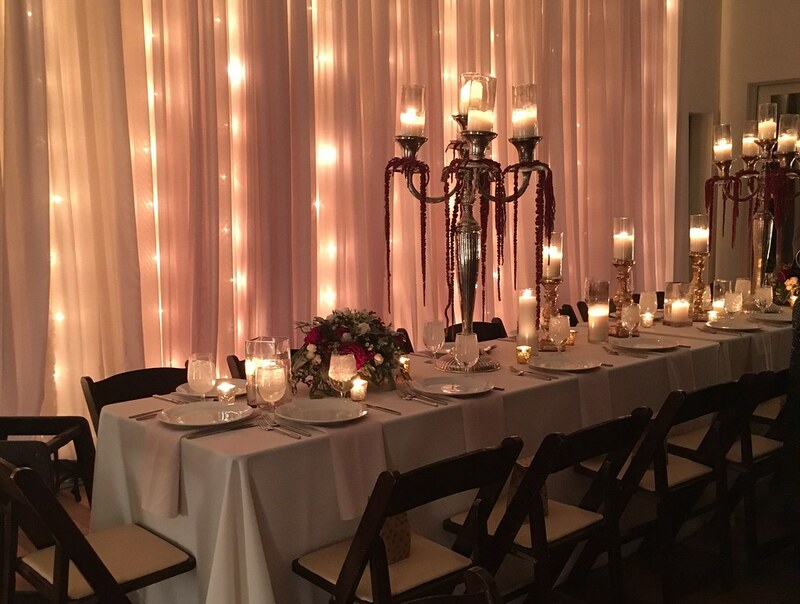 The color scheme of burgundy, grey silver and gold went great with the mixed medals on the tables and around the room. 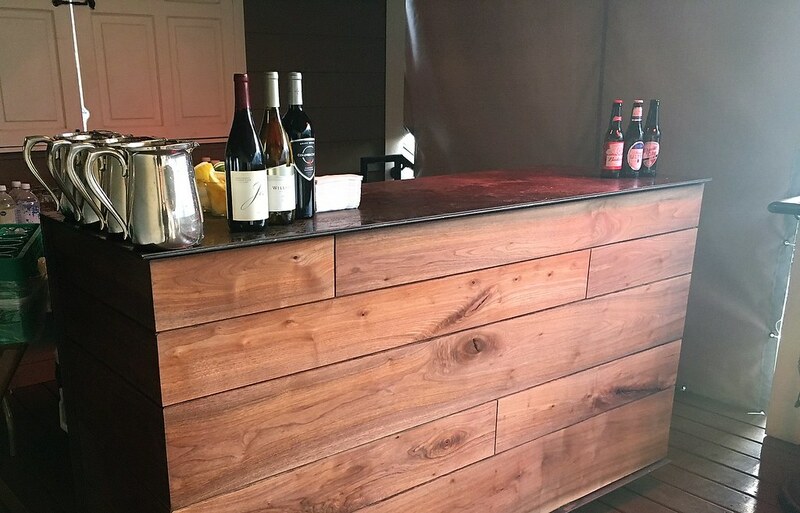 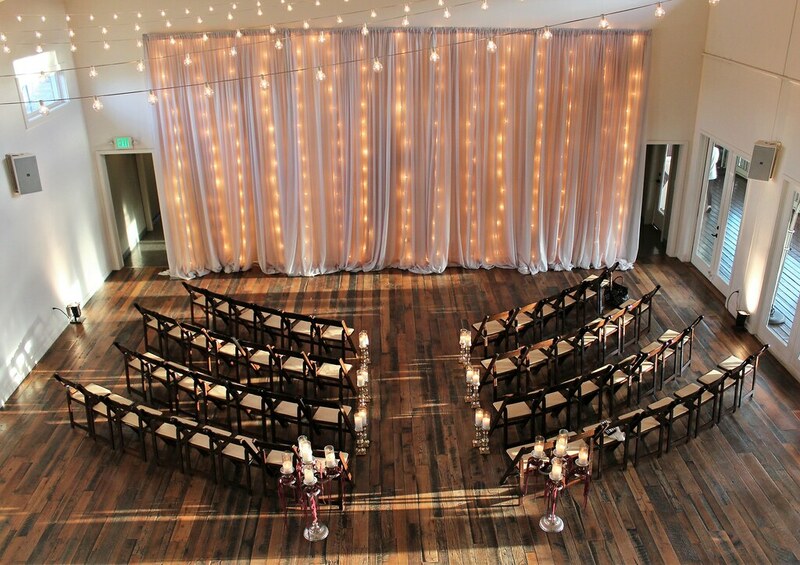 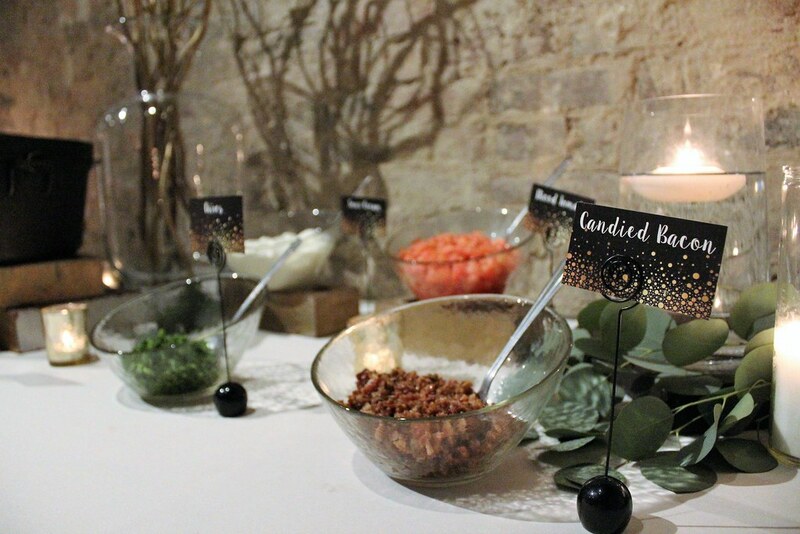 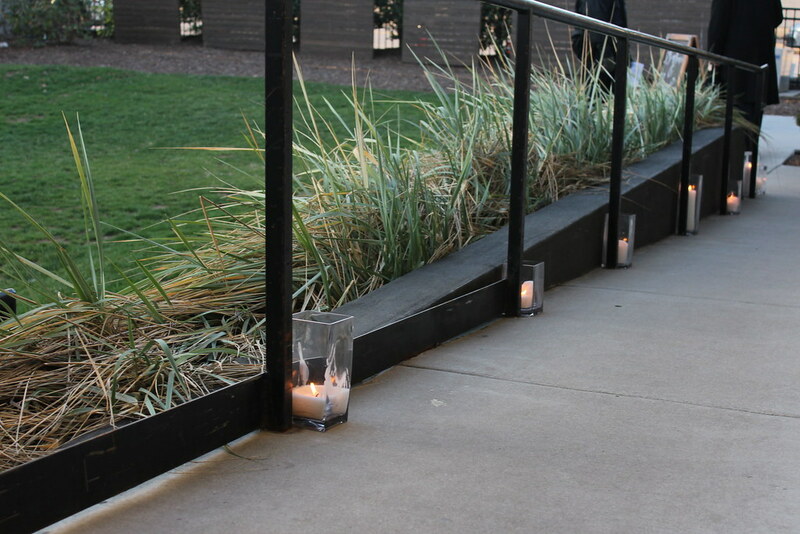 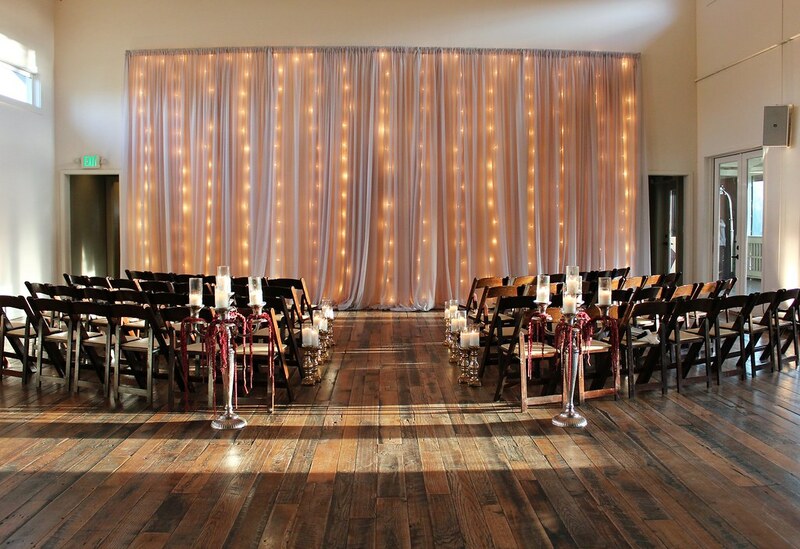 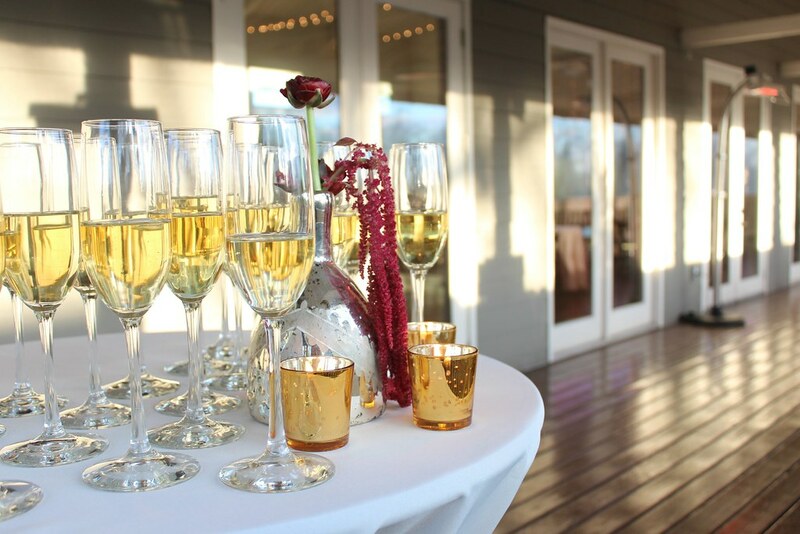 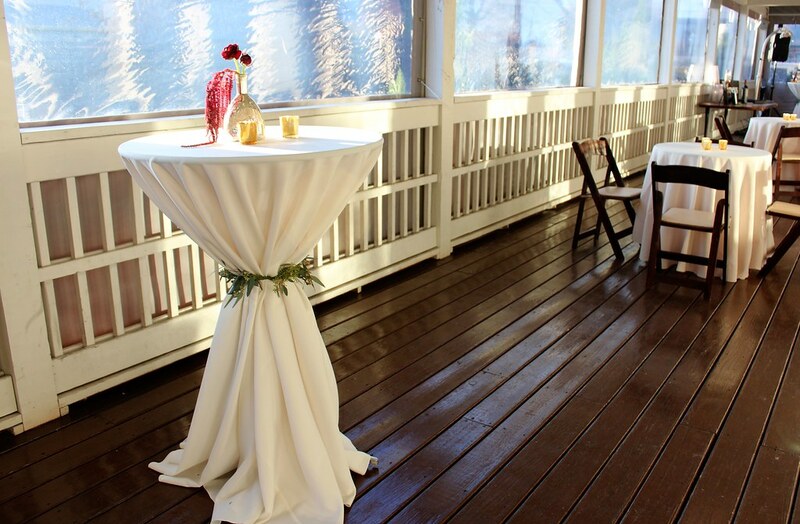 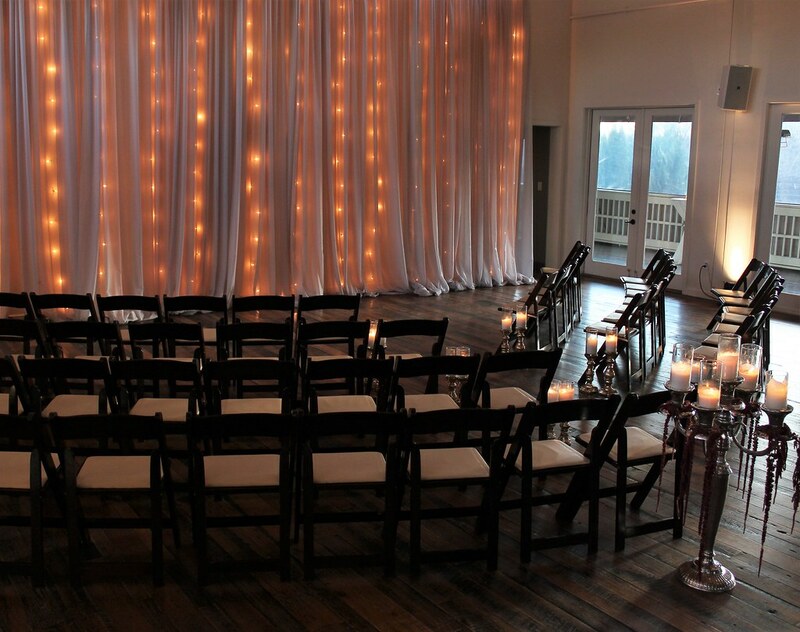 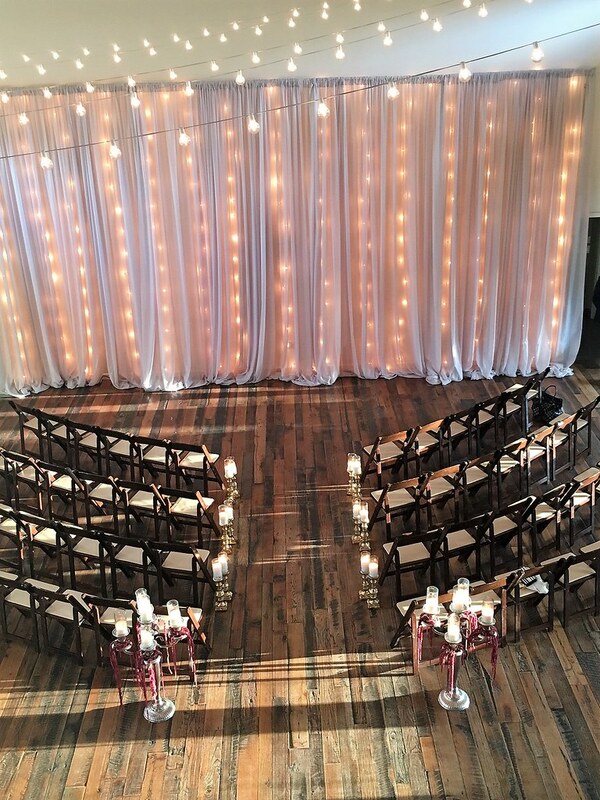 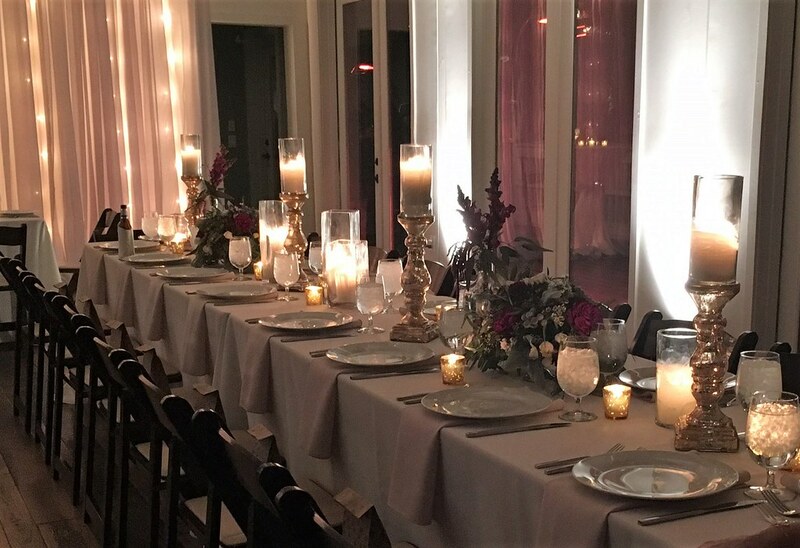 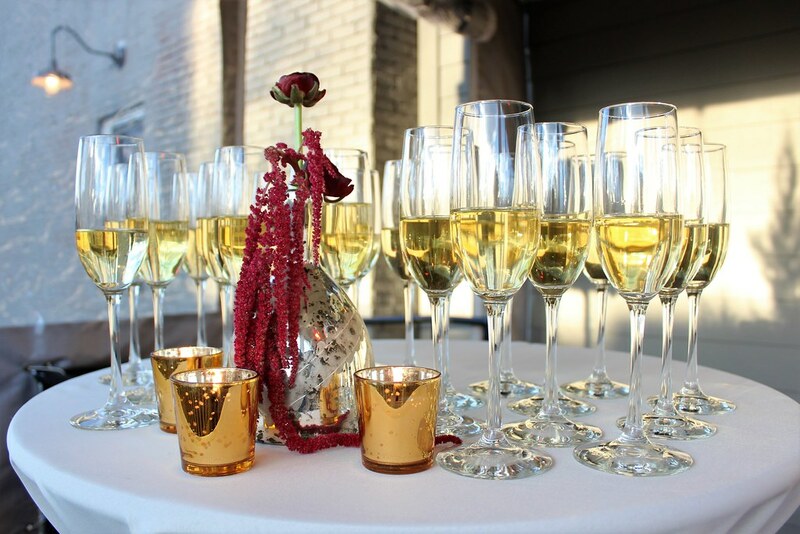 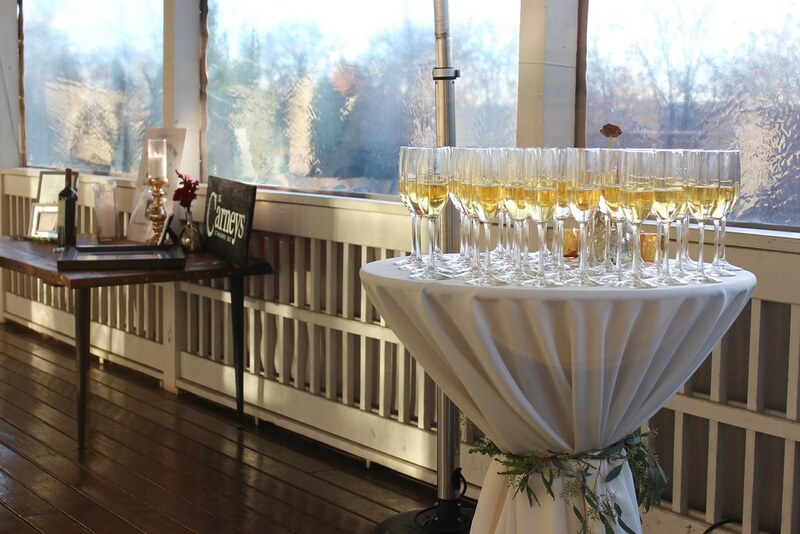 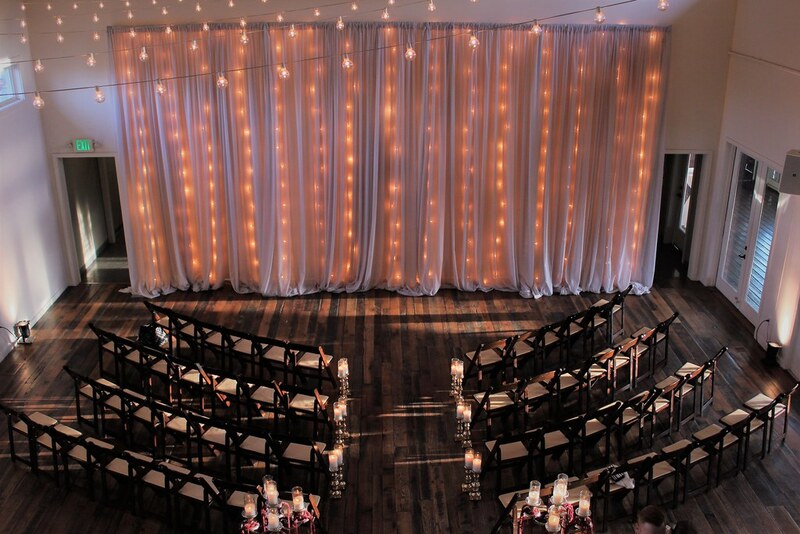 The service took place in front of a fabulous string light backdrop, and while guests enjoyed the cocktail area on the porch, the ceremony space was flipped into an elegant reception area. 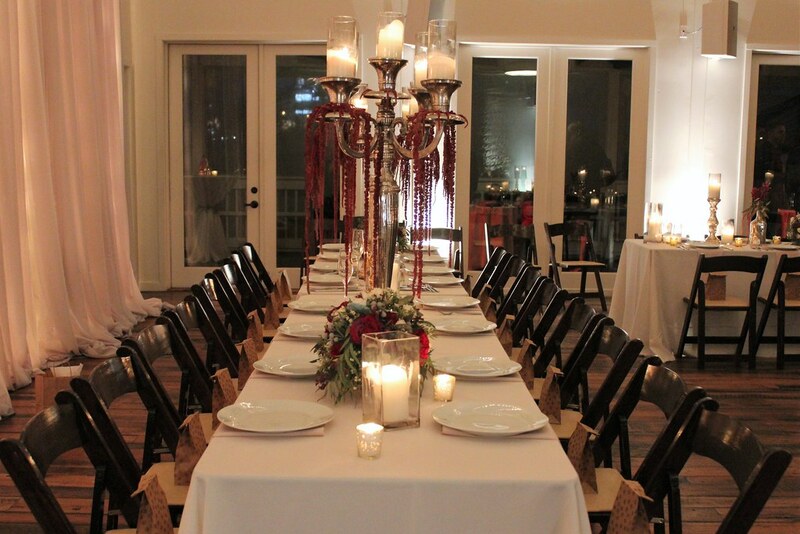 Family and friends dined at long tables in a giant U-shape, which gave the room an open feel. 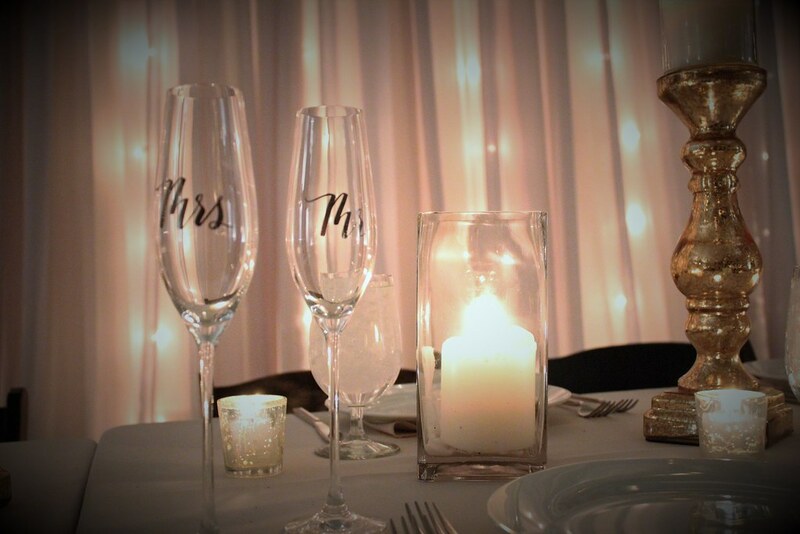 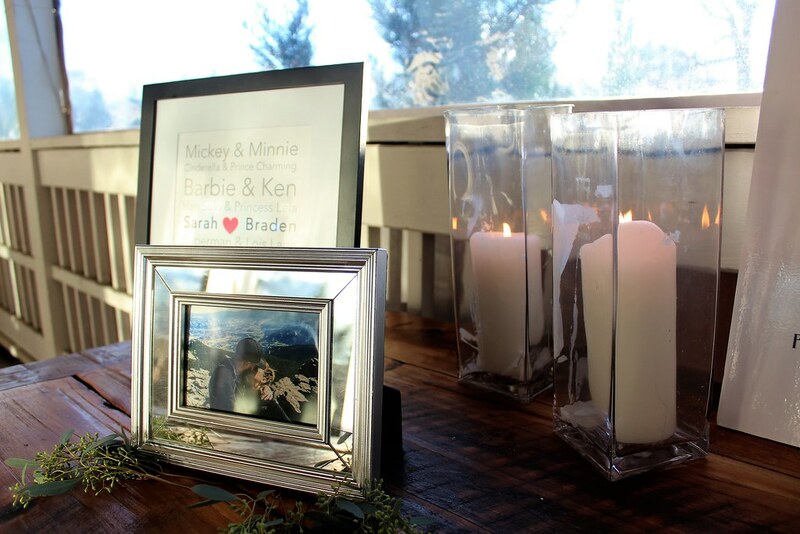 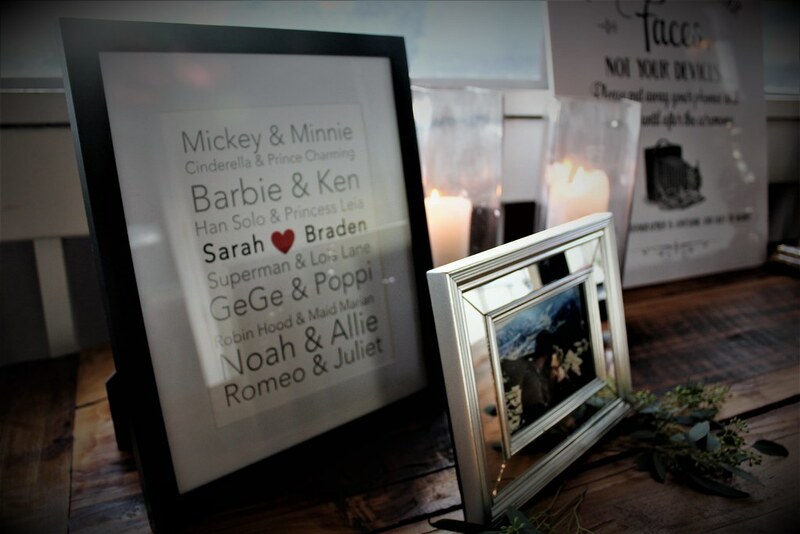 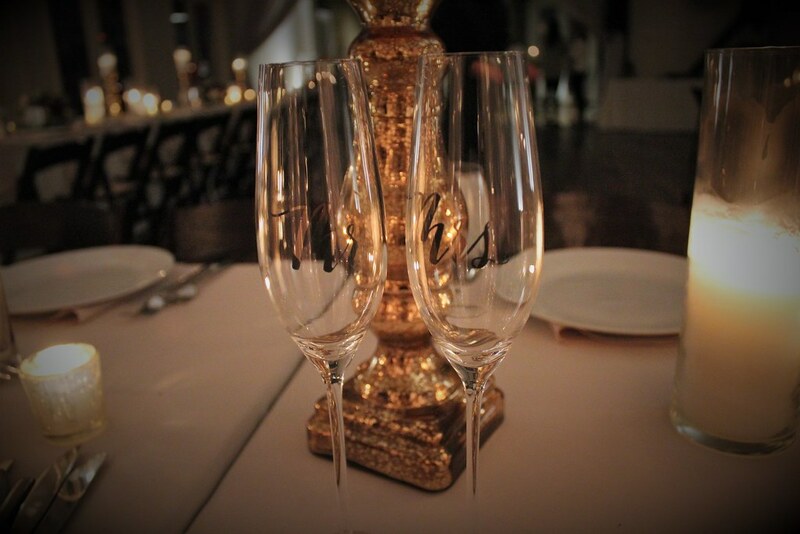 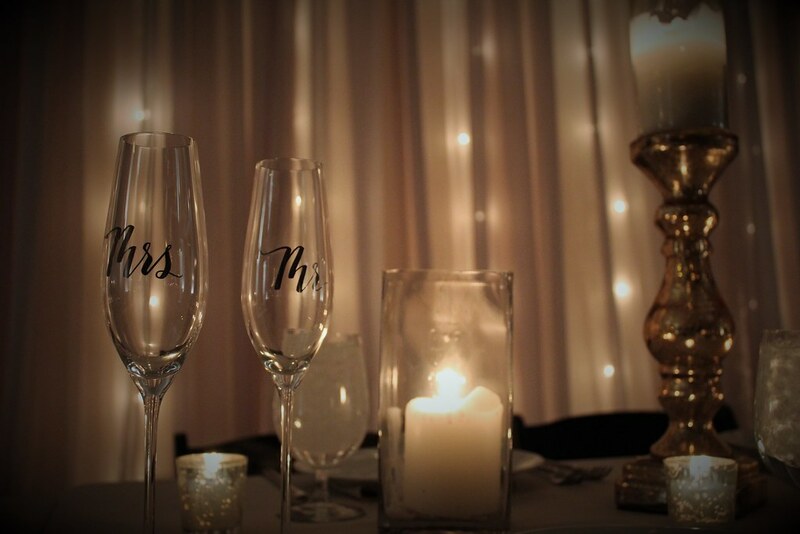 Each place setting had a custom take away: wine glasses branded with the couples’ names and wedding date. 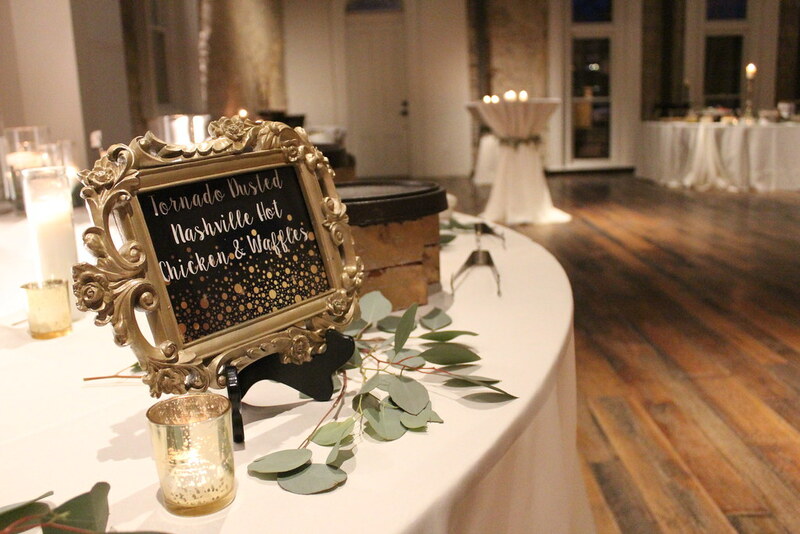 With special musical performances thanks to the groom’s job at a country music record label, it was quite the party. 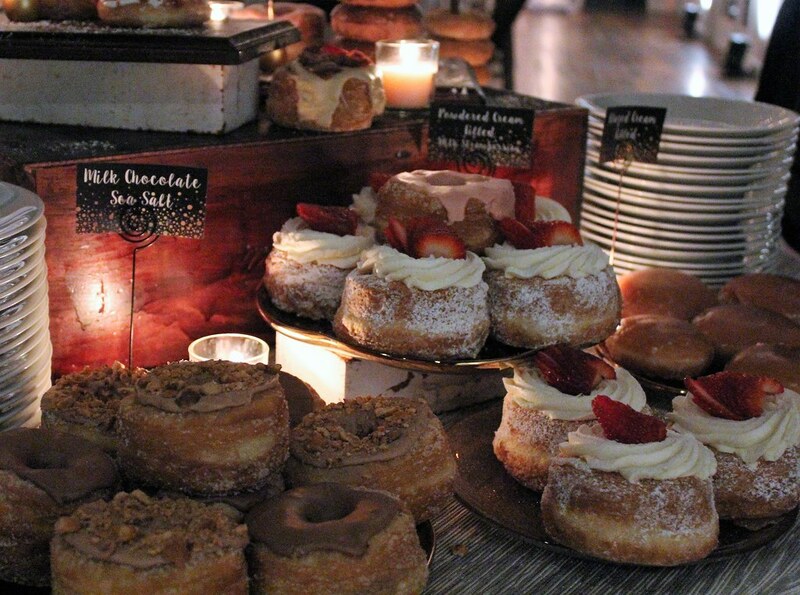 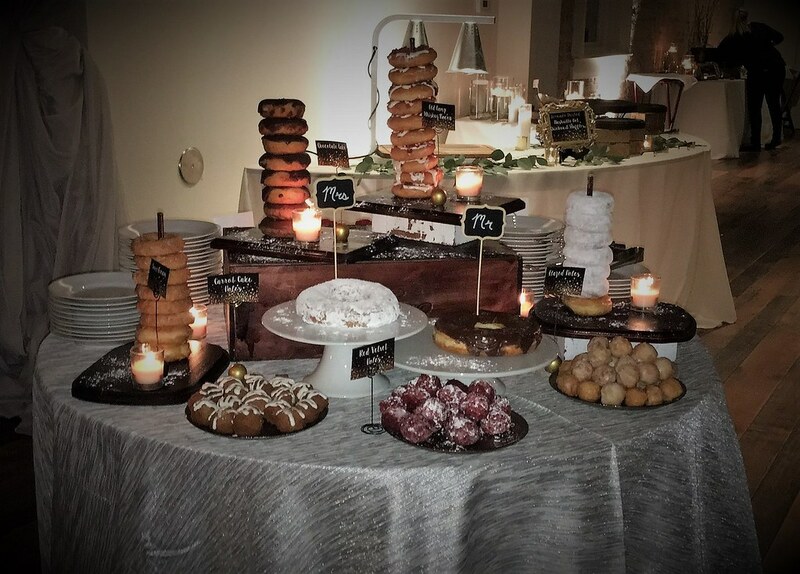 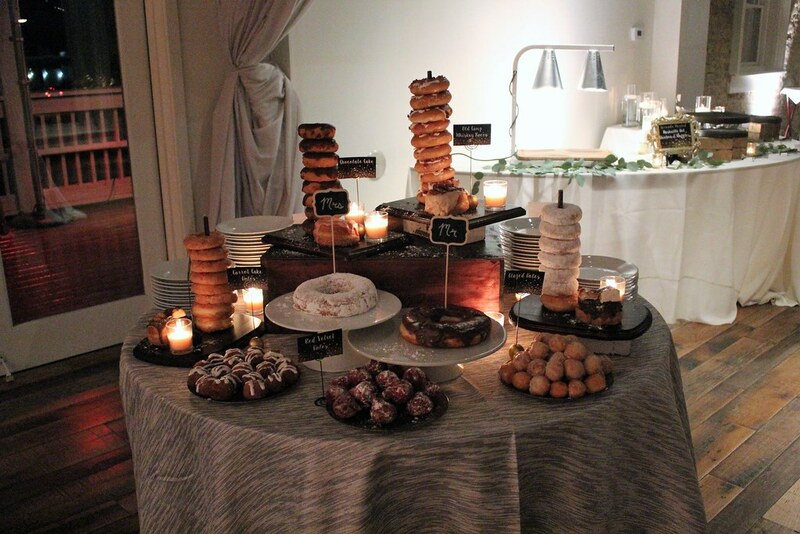 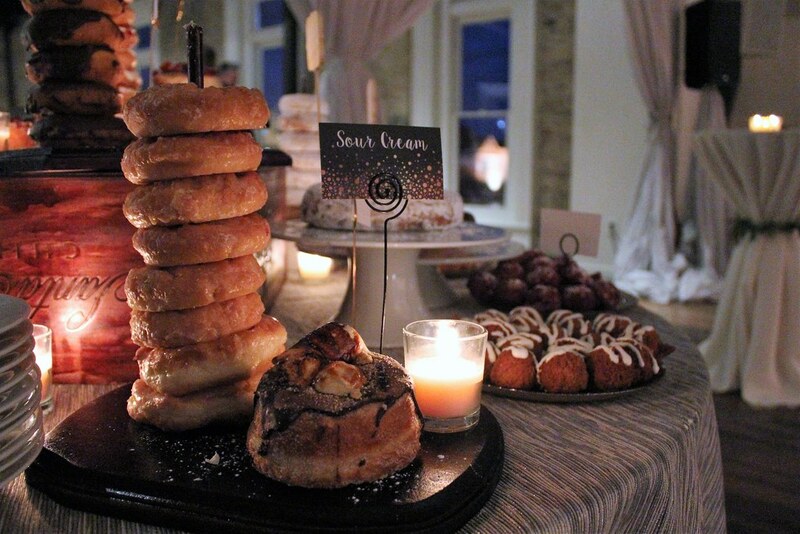 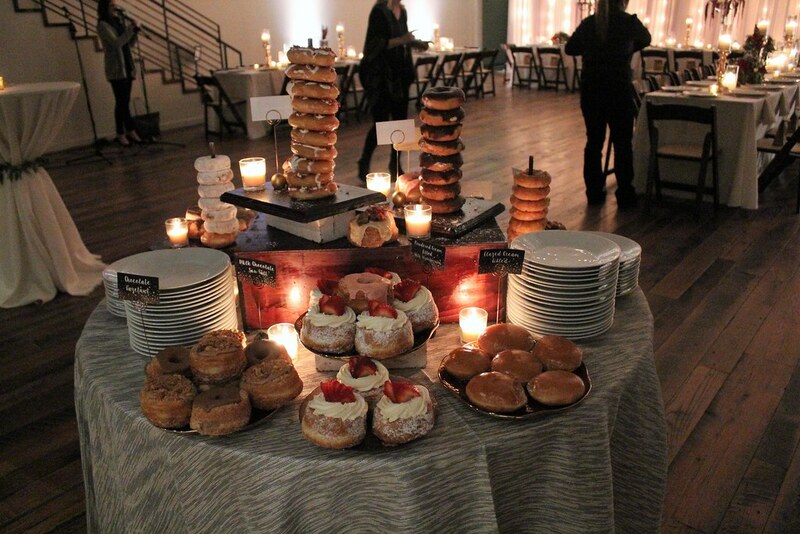 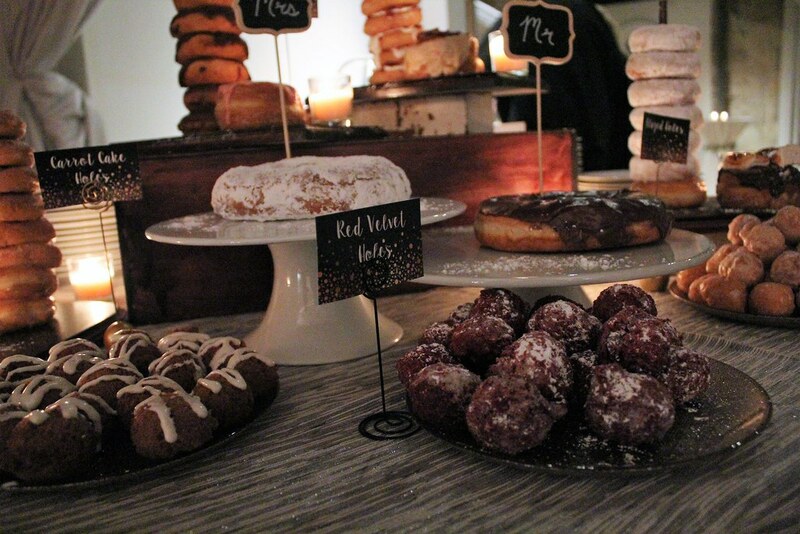 A highlight of the night was the massive dessert table, featuring hundreds of specialty donuts from bakeries across Nashville, arranged in a colorful and flavorful display. 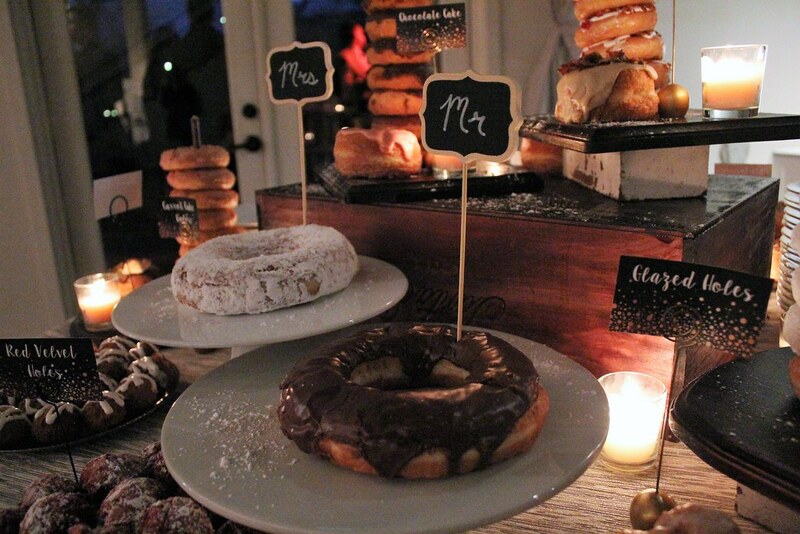 In lieu of wedding cake toppers, the large donuts in the center were labeled Mr. and Mrs. We wish nothing but the best to the happy couple!